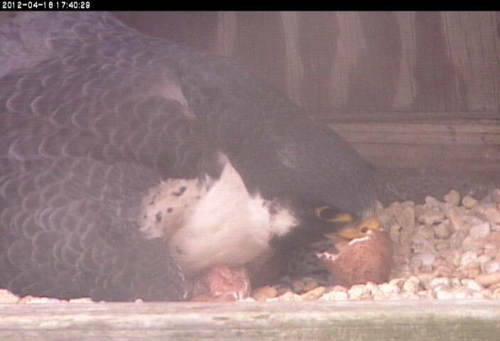 The first egg has hatched in the peregrine falcon nest in Richmond this afternoon. We’ve been observing closely over the past two days to look for signs of a pip – the initial opening the chick makes in the egg as it begins to hatch. 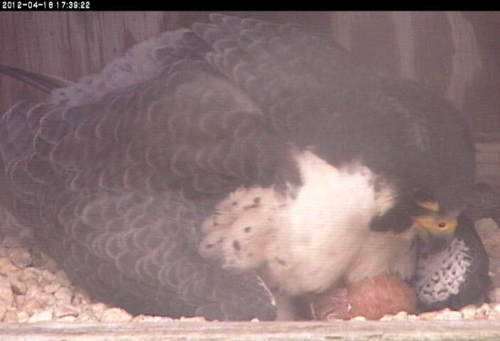 The female has been diligently keeping the eggs covered and weren’t able to get a good clear view of the eggs. Checking in on the nest this afternoon we found the first chick almost fully hatched out. 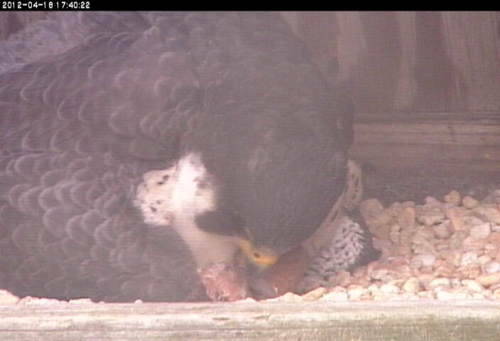 Almost immediately the female began to eat the remaining yolk and eventually the membranes and eggshell itself. This allows to her to recapture valuable calories, proteins and calcium. 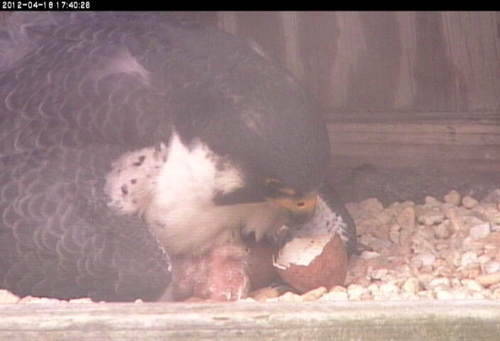 Peregrine falcon eggs typically hatch synchronously with a clutch of 4 eggs generally hatching over a 24-48 hour period. We’ll keep close watch over the coming days. This chick seems active is moving well.